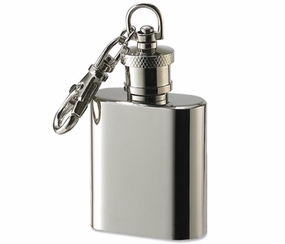 This engraved flask keychain is comfortable in the hand and pocket. All personalized flasks are made of stainless steel so they have a solid feel that will never tarnish. Engrave any flask with a name, initials, greek letters for a fraternity or sorority, or a message.